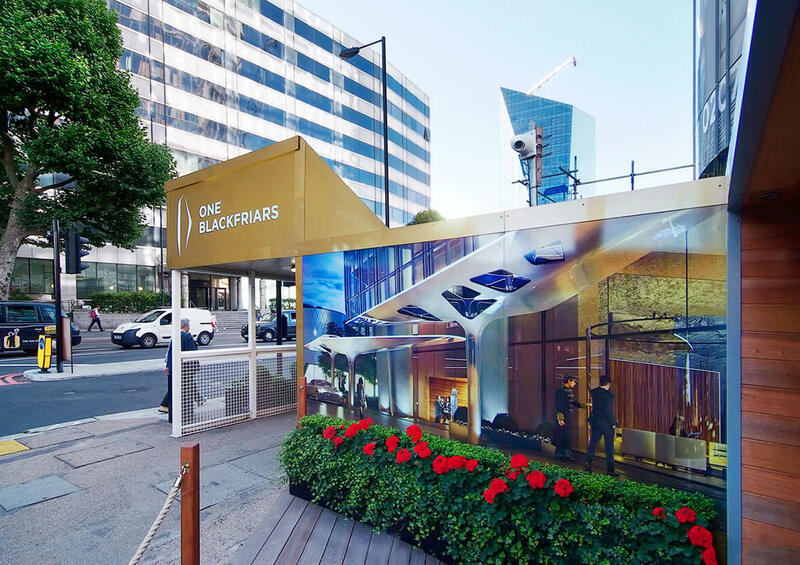 Standing at 560ft, and rising 50 storeys on the Southern side of Blackfriars Bridge, Berkeley Group’s One Blackfriars development dominates the Thames skyline and offers some of the highest-class apartments in London. 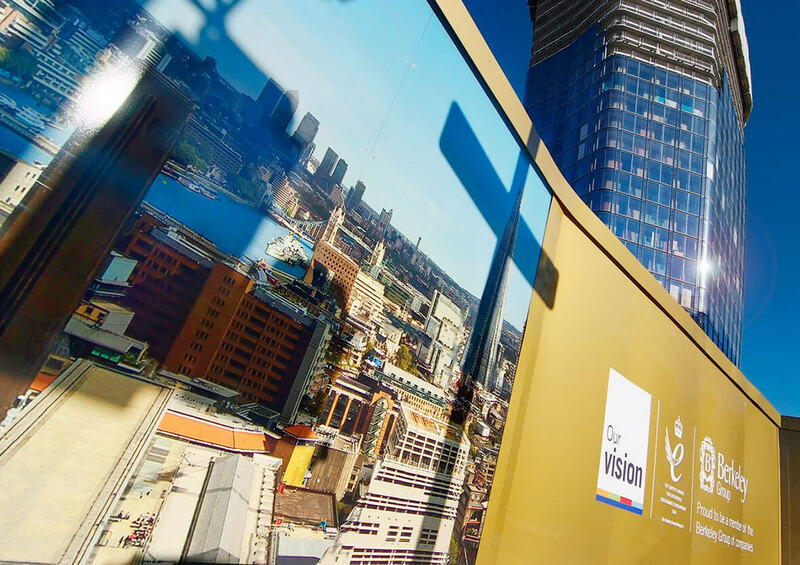 When the site underwent a rebrand across the exclusive multi-year development, they approached Reade Signs’ expert team. 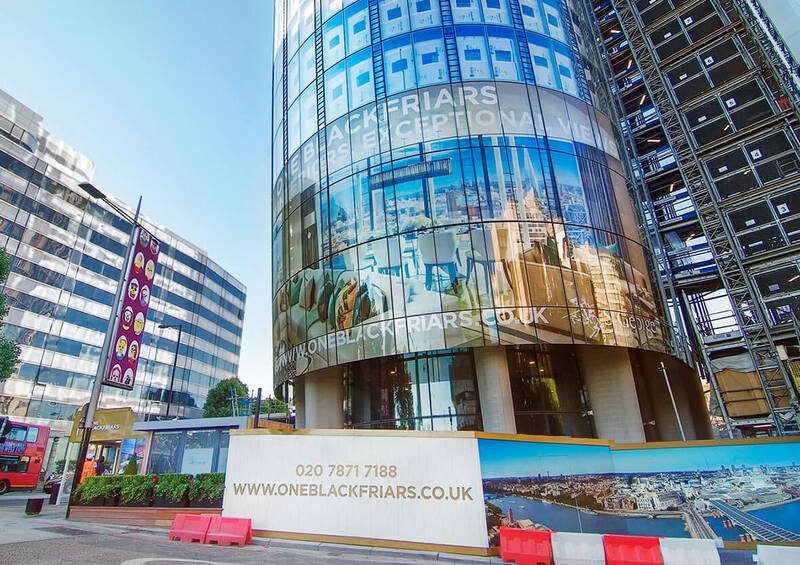 Our client’s instruction was to use reflective vinyl laminated on 250m of hoarding panels. Our experienced signage consultants advised against this, having assessed potential hazards from the reflection of passing vehicles on the busy surrounding roads. The Reade Sign’s team were given a period of just three weeks to deliver the project. Reade Signs offered the solution of using pearlescent vinyl with printed visuals laminated to ACM panels, along with self-adhesive gold text and logos, fulfilling the brief of a reflective finish with stunning impact, but without dazzling drivers. 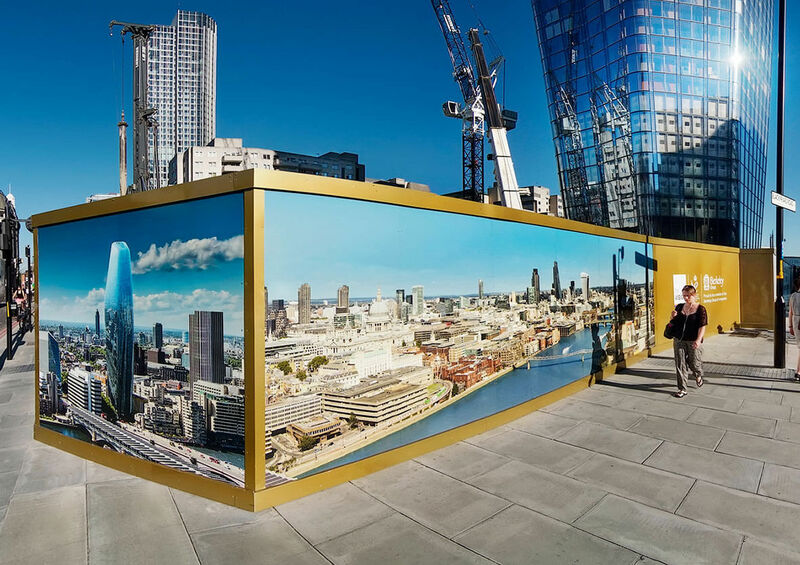 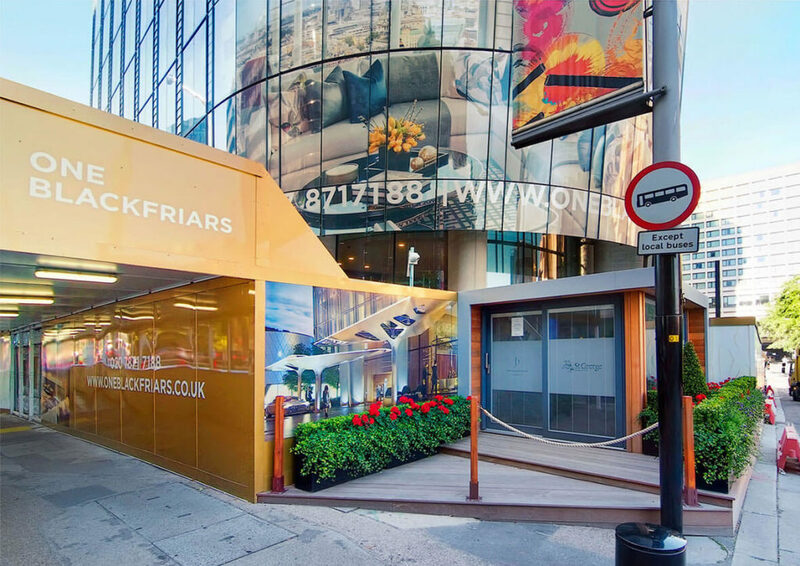 Safe in the hands of a business with decades of experience, knowledge and expertise, the project was completed on time, on budget and with a happy client with a quality hoarding that reflects the prestigious development it surrounds.